JAKARTA, Indonesia, April 7, 2010 (ENS) – A strong 7.7 magnitude earthquake that struck Indonesia early today off the northern coast of the island of Sumatra caused little damage and no fatalities, although power was interrupted in several places. The epicenter was close to that of the 8.9 magnitude quake on December 26, 2004 that triggered a catastrophic Indian Ocean tsunami that claimed the lives of at least 226,000 people in Indonesia, Sri Lanka, India, Thailand and nine other countries. Today, some 62 people in two areas were injured in the earthquake, but authorities say that number could rise as the injured are still being counted. Today’s quake struck around 5:15 am local time. It was centered about 60 kilometers (40 miles) southeast of the town of Sinabang on Simeulue island, which lies 150 kilometers (93 miles) off the west coast of Sumatra’s Aceh province. Hundreds of people on Simeulue and elsewhere in coastal Aceh fled to higher ground for fear of another tsunami, but no tsunami was generated by the quake. Aceh Vice Governor Muhammad Nazar told the Antara news agency said that power would not be restored in Simeulue district for several days as around 30 electricity poles had collapsed. North Sumatra Governor Syamsul Arifin said after checking on the situation with a number of districts and cities he found that the earthquake has not caused significant material damage in North Sumatra. A spokesman for the North Sumatra division of state electricity company PLN, Marojahan Batubara, reported that 12 of the company’s power plants experienced an “emergency stop” due to the temblor. At the location of this earthquake, the Australia and India Plates move north-northeast with respect to the Sunda plate at a velocity of 60-65 millimeters per year. On the basis of the currently available fault mechanism information and earthquake depth of 31 km (19.3 miles), the seismologists say it is likely that this earthquake occurred along the plate interface. The area is still shaking. The USGS has recorded four aftershocks today with magnitudes between 4.5 and 4.8. 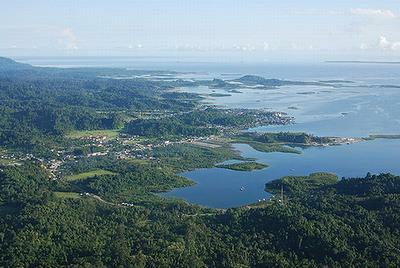 In February 2008, a slightly smaller earthquake, variously measured between magnitudes 6.6 and 7.6, killed three people and injured 25 others on the island of Simeulue.